Leaving the world’s most glamourous playground, depart for the shores of the world’s favourite boot. From the colourful house of Portofino to the Bridge of Sighs continue your discovery of the Mediterranean. 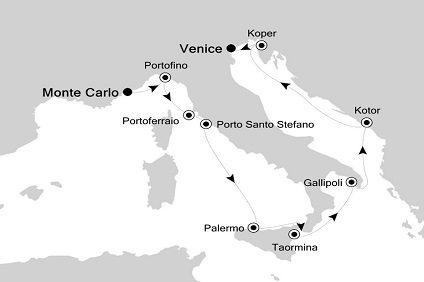 Enjoy the lively Tuscan harbours and beaches, the beautiful islands of Elba, Gallipoli and Sicily as well as three restful days at sea to absorb everything in. One of the most photographed villages along the coast, with a decidedly romantic and affluent aura, Portofino has long been a popular destination for the rich and famous. Once an ancient Roman colony and taken by the Republic of Genoa in 1229, it's also been ruled by the French, English, Spanish, and Austrians, as well as by marauding bands of 16th-century pirates. Elite British tourists first flocked to the lush harbor in the mid-1800s. Kalè polis, meaning beautiful city, is the name ancient Greek mariners bestowed on Gallipoli, with good reason. 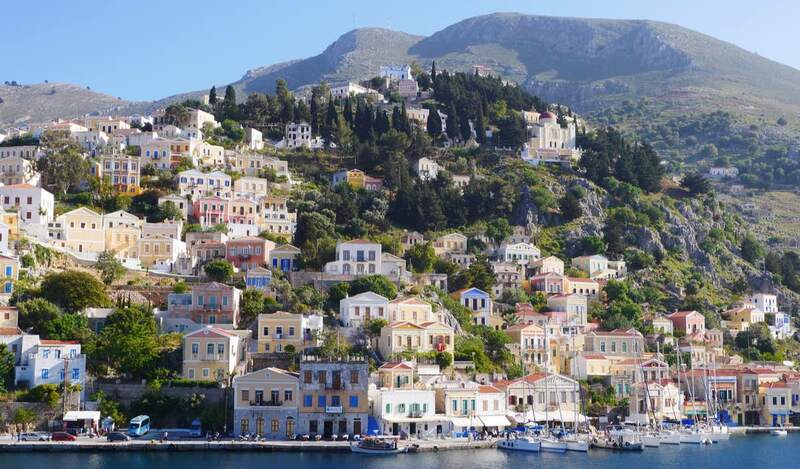 Situated on a mound, the Old Town with its labyrinth of winding lanes, emerges from the Ionian Sea. It is connected to the mainland and modern Gallipoli via a 17th-century bridge. The area lies on the Salentina Peninsula in the extreme southeast end of Italy, commonly referred to as the heel of the boot. Today a port town surrounded by industrial suburbs, Koper nevertheless warrants a visit. The Republic of Venice made Koper the regional capital during the 15th and 16th centuries, and the magnificent architecture of the Old Town bears witness to the spirit of those times.The most important buildings are clustered around Titov trg, the central town square. Here stands the Cathedral, which can be visited daily from 7 to noon and 3 to 7, with its fine Venetian Gothic facade and bell tower dating back to 1664.